We take pride in our equestrian team at Horses for Healing. They are an integral part of our programs. Garfield is one of the most flexible horses on the property, having done it all during his life. Now that he’s a bit older, he loves his job as a therapy horse! Not only is he a kind teacher, he has a perfect personality, and he’s quite a looker too! Jay Jay loves small children, he’s gentle and delicate despite his size, and is a great teacher when it comes to building confidence around the horses. Recently he has been enriched by trotting through the fields out back – great for his fitness and mental health too! Milo is a program favorite, having been here since he was very young! Milo loves small children, and is especially kind and sweet to them. In addition to being the sweetest therapy pony, he loves his “babies”, our donkeys Mojo and Pancho! Scout is partially blind in one eye, and much like many of our riders, has learned to adjust and succeed despite a challenge. After some newfound confidence, Scout excels at helping riders who are transitioning to being independent while riding, and is a great example of perseverance for our riders! Checkers loves allowing children to learn grooming skills and participating in stable management classes. With wonderful manners, he’s the perfect pony to teach the fundamentals of good horsemanship! Checkers is also great in lessons with young children who are ready to ride independently. Hunter is one of our many versatile horses, who does both therapy lessons as well as sports riding. He specializes in bringing up the skill level in intermediate and advanced riders, as well as teaching beginner riders the technical skills. Zeus has been at Horses for Healing for a few years, after spending some time fox hunting. 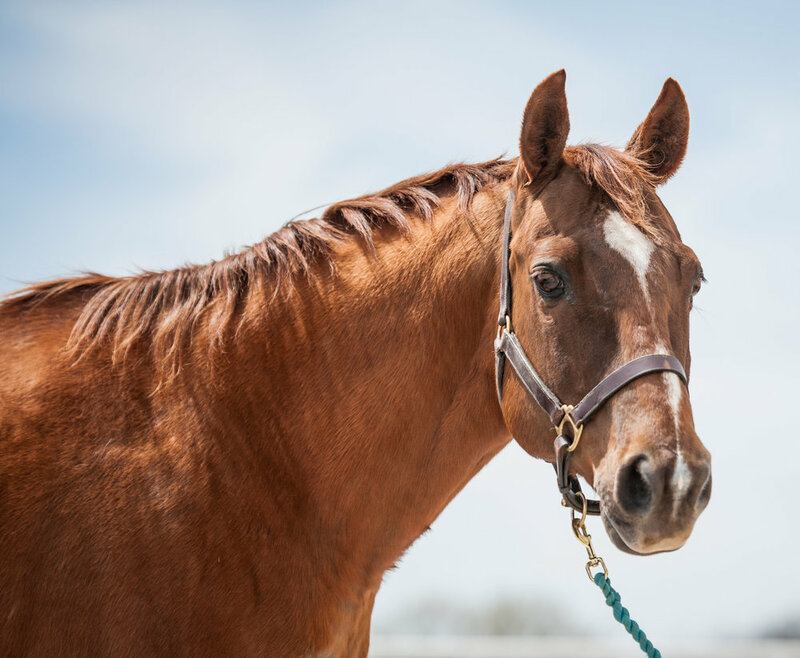 He’s a tall, steady horse, and though in the therapy classes he’s slow and pokey, when ridden in our sports program he doesn’t mind stepping out and strutting his stuff! When Carlott joined us in 2017, we had a need for a quiet gelding that is a bit more narrow than some our chunky monkeys. Carlott fit the bill! Since becoming a part of the program, he has participated in numerous school group classes, as well as learned about his love for jumping a bit in our sports program. Additionally, he’s quiet on our sensory trails and in the fields, making him a wonderful partner for both riders. One of the plumpest of the bunch, Junior provides riders with stability issues a broad base of support while mounted. 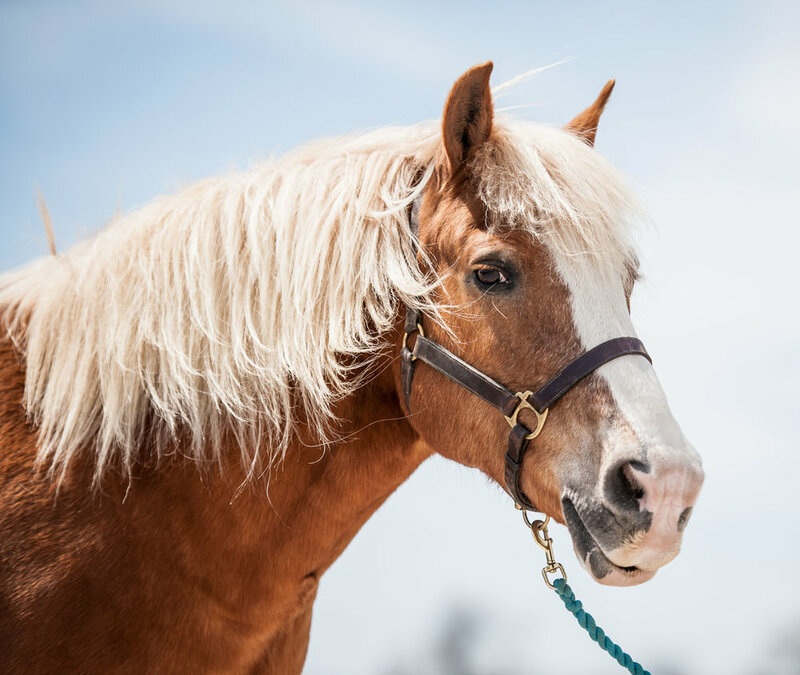 He loves doing lessons with his best friend Noonie, and in addition to the therapy classes, he’s recently enjoyed going back to his roots by taking riders out on trail rides on the property! Skipper joined the farm with his friend Carlott in 2017, and has been a great mount for riders ready for more independence. While he does sometimes work with our therapy school groups, he especially enjoys teaching more independent riders how to trot. Not only handsome, he’s a great mover too! Splash is a pretty, smaller mare who does well with our independent riders that are ready for more of a challenge. As many of our therapeutic riders have the desire and ability to grow into the sports program, it’s fabulous to have a smaller mare who may be suitable for them one day as their skills grow! As the Queen of the farm, Missy has done it all. From therapy lessons, to longe-line beginner lessons, to show hunters, Missy has a wealth of knowledge to share with our students. We’ve always believed that the best educators are our horses, and Missy is a prime example of this belief! Danny was generously donated to our program in 2016, and though he’s young, he’s very predictable and willing, some may even say a bit lazy. This quiet temperament makes him ideal for therapy students who are looking towards gaining more independence. Danny Boy is quite a lovely gentleman! Tonka has proven to be just like his name – sturdy, strong, and will do his job happily! Before coming to us, Tonka had some training as a vaulting horse – meaning that people could do gymnastics on his back, while moving! He settled into his therapy horse role very quickly, and is a very valuable member of the team! Noonie is an instructor and student favorite at the program, having a quiet and willing temperament. He provides a narrow base of support for riders who may not be comfortable on one of the wider horses at the program, and offers a more forward gait at the walk and trot. Although an older gentleman, you’d never know it from his eagerness to go to work each day! Before becoming a therapy and sports pony, Otis enjoyed a career as an eventer. 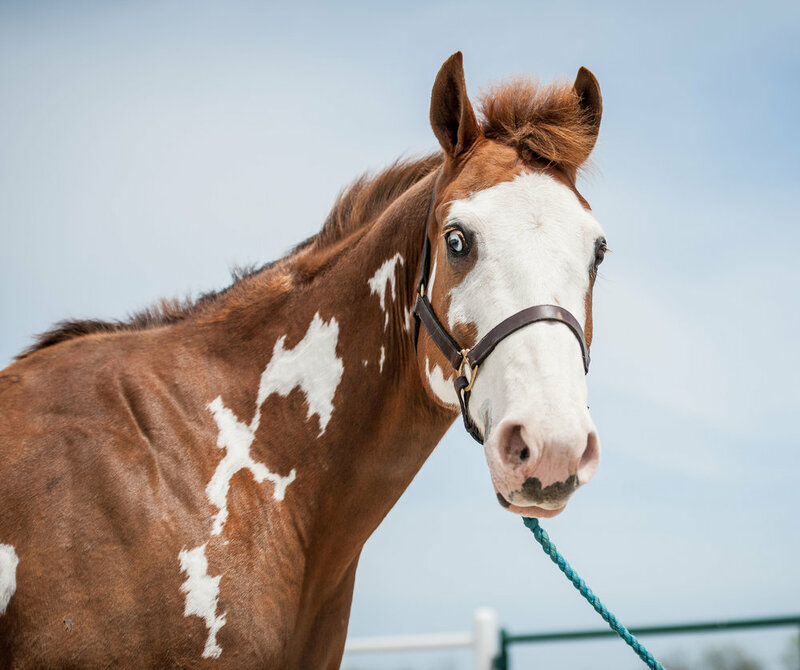 Due to his small size, he’s an easy horse to lead and sidewalk for our volunteers in our school program, and with his versatility he does well both in walk therapy lessons as well as hunter jumper sports riding classes! Nugget’s small size makes him very appealing and approachable for our more timid participants, as well as easy to groom for smaller children learning grooming skills and working on their fine and gross motor function. The best news is that Nugget LOVES every grooming opportunity he can get! He’s one of the stars of our stable management and horsemanship lessons, and we’re lucky to have him as part of the herd! Mojo – 13 year old Donkey gelding; and Pancho – 13 year old Donkey gelding. Living in the front pasture next to the Horses for Healing sign, Mojo and Pancho are officially the farm’s welcoming committee! With their fuzzy long ears and velvety noses, who can resist these adorable Donkeys?